At the Annapolis, Maryland dental office of Chambers Family Dentistry, our team goes above and beyond to ensure patients of every age are comfortable in our practice. However, there are those patients who need a little extra help remaining free from pain and stress during dental treatment. For these patients, we’re happy to offer dental sedation that keeps patients comfortable and free from stress. Contact our team to find out more or schedule an appointment. We welcome patients from Annapolis, Bowie, and other surrounding communities. One of the earliest used forms of sedation, nitrous oxide is still popular today. 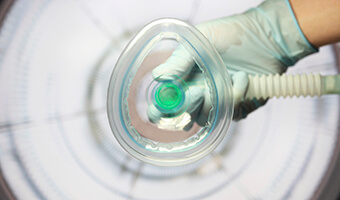 Sometimes referred to as laughing gas due to the state of euphoria patients experience while under its effects, nitrous oxide sedation is administered during treatment through inhalation. Patients wear a nasal mask, and we can adjust the dosage to ensure patients maintain their optimal level of comfort. This fast acting sedative is a great solution for patients who experience dental anxiety, those with sensitive teeth, gums, or gag reflex, and those who need to undergo extensive treatment in fewer appointments. 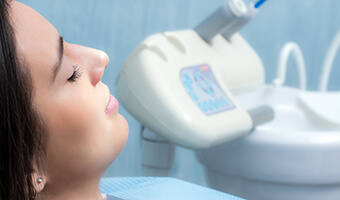 Nitrous oxide not only creates a state of relaxation it also diminishes pain sensation, making it the ideal option to help patients remain completely comfortable during their appointment. Best of all, because the effects of nitrous oxide wear away as quickly as they set in, you can go right back to your daily routine following treatment. 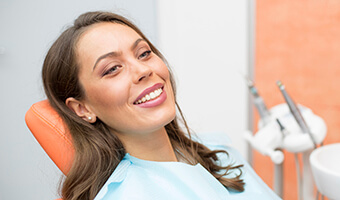 For those patients whose dental phobia or anxiety makes it difficult for them to even leave home for the dental office, oral conscious sedation may offer the ideal solution. At a predetermined time prior to your appointment, you’ll take a prescription medication. Then, a trusted friend or family member will drive you to our office. Throughout your visit, you’ll be able to respond to us and remain conscious. However, you’ll be very relaxed and will more than likely retain no memory of the visit.